Matthew Apgar - mapgar@shawmedia.com Artist Paul Turnbaugh poses for an On The Record With portrait on Thursday, Feb. 11, 2016 in Marengo. 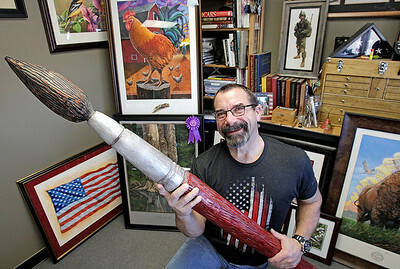 Turnbaugh owns Wild Heartland, an art company which supports veteran organizations. Artist Paul Turnbaugh poses for an On The Record With portrait on Thursday, Feb. 11, 2016 in Marengo. 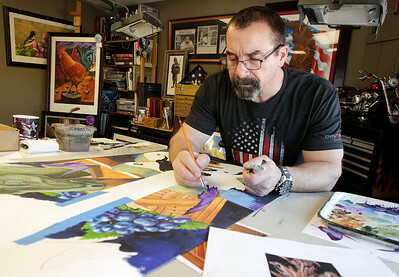 Turnbaugh owns Wild Heartland, an art company which supports veteran organizations.